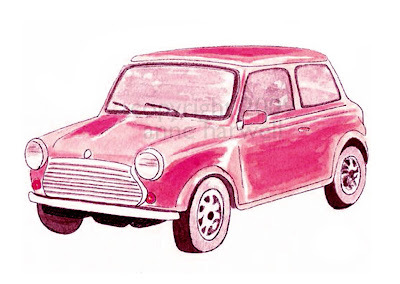 New in my shop today, my Pink Vintage Mini Print. 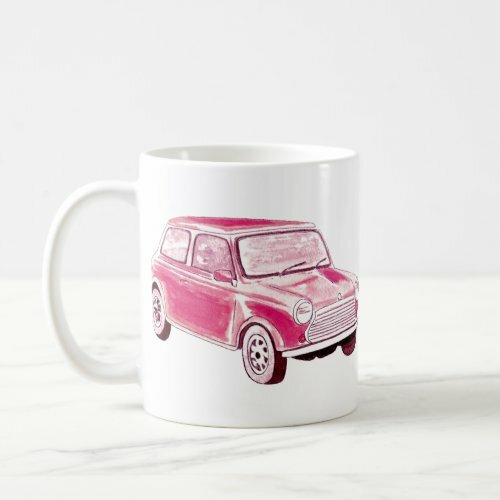 Also available as a mug on Zazzle! I don't consider myself any fashionista and am hardly what you'd call a clotheshorse, but I am loving these two pieces by Boden for Fall. 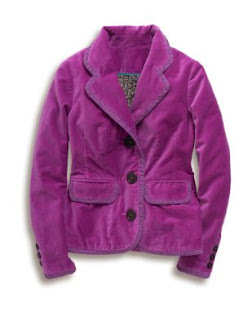 The gorgeous color combined with soft velvet equals a rich touch of embellishment perfect as a little spark of brightness for your wardrobe. Way to warm up the cooler months! When I was young, my bike was of extreme importance to me. I spent endless hours riding and took more than a few spills - I have a few scars to prove it. Then, when I was seven, we had a fire in our garage and my "Ramblin Rose" pink bike with the banana seat and vinyl woven basket got slightly charred and melted. 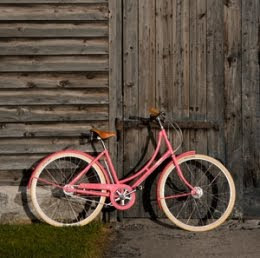 If I ever were to get another bike, I would love one of these very classic Pashley bicycles like the Princess (above) or the Poppy (below). Pashley is England's longest established bicycle manufacturer and I love the way they incorporate the best engineering without sacrificing the classic form, which makes their cycles picture perfect. They look completely photoshoot-worthy to me. 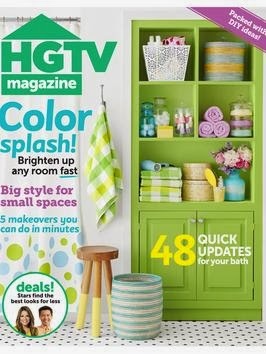 One would look good even just sitting around - like a scene in one of those old Laura Ashley catalogs from the 80's. Sigh. NEW QUOTE POSTER MUG AVAILABLE! Christy of "A Lil Welsh Rarebit" is the winner! Congratulations, Christy! You were chosen by random.org and will be receiving the $50 gift certificate. Thanks to all who entered and especially to Roni, the owner of The Loaded Trunk. Here's the latest new addition to my Etsy shop. 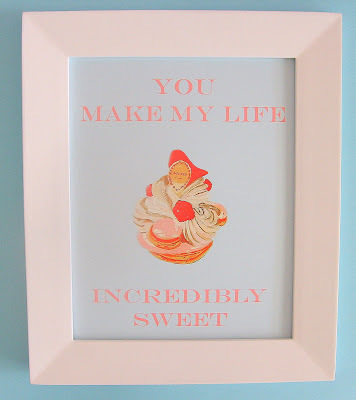 This is the first in a new series of quote posters I have created that pair my dessert paintings with a quote. Combines two of my favorite things - painting and language! 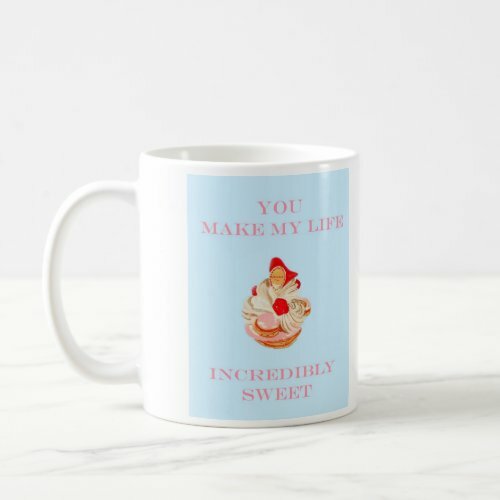 This features a painting I did a couple of years ago of a Laduree - Paris St. Honore pastry and the quote "You Make My Life Incredibly Sweet". 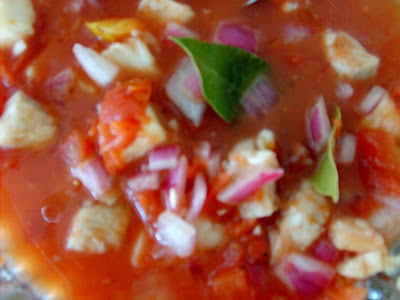 Look for more to come soon and get this one right now here. 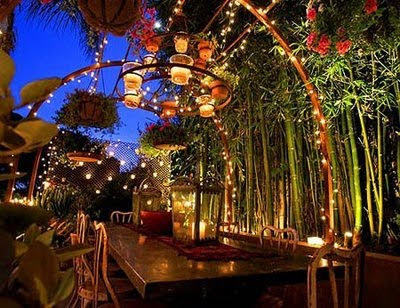 Is this not the coolest setting for a festive evening dinner party? I love it. Hope everyone has a great weekend! I couldn't resist sharing this recent photo of my 5 year old nephew, Sam, in one of his many dress-up modes. 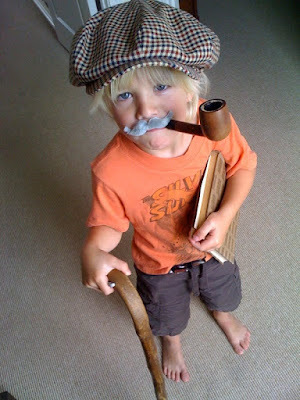 He put this look together completely on his own, ala' Sherlock Holmes. I love his creativity! I would like to introduce you to a new website, The Loaded Trunk. 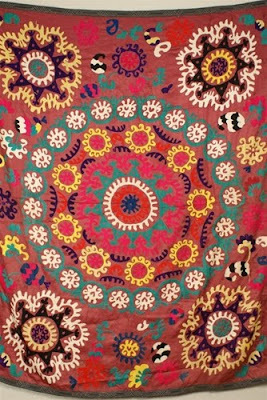 Owner Roni Jaco describes their offerings as "textiles and objects with a global point of view". 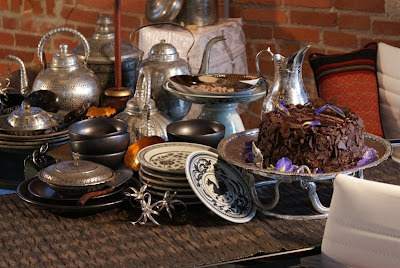 You will find all kinds of beautiful and unusual imports, from unique art and pieces for the home, to jewelry, scarves and textiles. 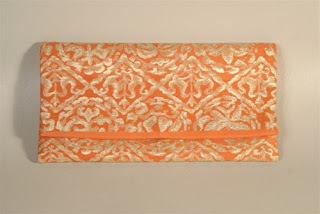 I thought this clutch was especially chic and it's made from a vintage recycled Obi sash that is worn over a kimono. 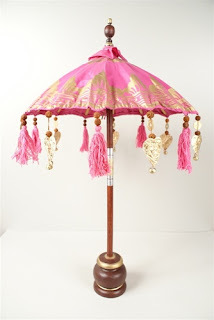 This Balinese umbrella in pink and gold was my favorite piece and at a terrific bargain price! These umbrellas come in many different color combinations and lend a refined and whimsical touch to an interior or table setting. You could win a gift certificate valued at $50 from the Loaded Trunk! 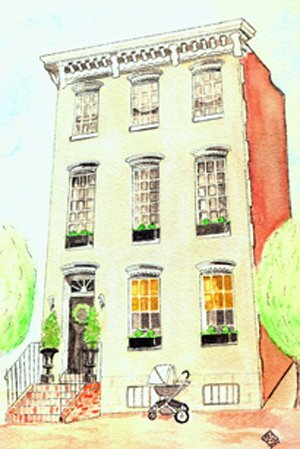 All you have to do is browse their site, then leave a comment here on Annechovie listing your top 3 favorites, along with your email address (for contact info if you are chosen). Entries will be accepted through September 23rd and the winner will be chosen via random.org and announced by Sept. 25th. I was born in Royal Oak, Michigan and grew up in Novi and Northville, Michigan. My mother is also an artist, and I remember always being surrounded by art supplies and doing all sorts of crafts with her. I've always been fascinated at my mother's artistic abilities, and wanted to grow up to be just like her. all of the walls brick red to cover the marker. I could always draw from a very early age, in fact, I remember having a Thanksgiving drawing of mine in Kindergarten published on the front page of our local newspaper. I was always in art classes throughout my schooling and took a few private lessons. I was accepted to the Massachusetts College of Art & Design in Boston, but decided to go into teaching instead. I am really inspired by a number of artists such as Karin Jurick and Chris Stott. 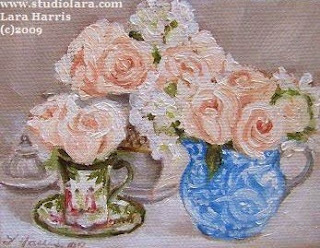 I love Jurick's style, it's kind of a mix of realism and impressionism, and I love the vintage still lifes that Stott paints. 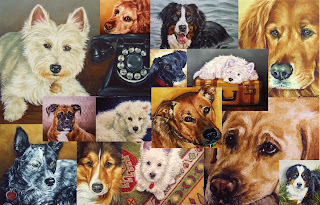 I still feel that I am trying to discover my own 'niche' as they call it, but I suppose I have become known mainly for my pet portraits, still life paintings, and my Master studies. I love doing Master studies because I not only enjoy looking at such incredible work, but I've learned a great deal by studying such greats as William Bouguereau and Mary Cassatt, among others. I was married in 2006 to a wonderful Australian man, and moved to Cairns, Australia in August of that year. We later moved to Sydney and now are back in my home state of Michigan. No one here in Michigan can understand why we would leave the beauty of Australia for the cold winters of Michigan, but we plan to have children soon and I could not imagine having children without my mother nearby. Well, first of all, I believe God has given me this talent and I need to always be thankful for such a gift. Taking time to remember Him is definitely important to me. I pray daily and believe He guides my life and my career. The blogging community and loyal customers have been important to my life and career as well. Their encouragement and inspiration really brighten my day and keep me focused on reaching my goals in life! I am also very thankful to several fellow artists who have offered their support and advice along the way, as well as family and friends. I think a lot of times an artist's success is about making a connection, and I hope I do that not only through my work, but on a personal level as well. Art, to me, is sharing a little piece of yourself...it's not just about paint on a canvas. To be totally honest I probably would live on the Central Coast back in Australia, but that would only work if we had a private jet to fly back to the States 2-3 times a year! My biggest challenge by far is learning how to loosen up a bit and paint faster, smarter I suppose. 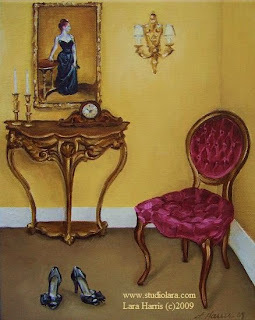 My goal is to paint like Karin Jurick someday, yet maintain my own sense of who I am as a painter. 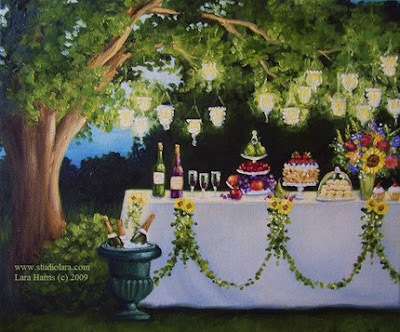 I love how her work is realistic looking but with a very painterly feel to it. Her strokes seem much more fluid and her color choice is spot on. I often wonder where I'd be today had I gone to art school...but at the same time, I'd never take back the 6 years I was a teacher. I think the best thing I can do is just continue to paint, the sheer practice of it truly has refined my skills, and I look forward to where this new chapter of my life will take me. Thanks so much to Lara for sharing more about herself and her work with us! 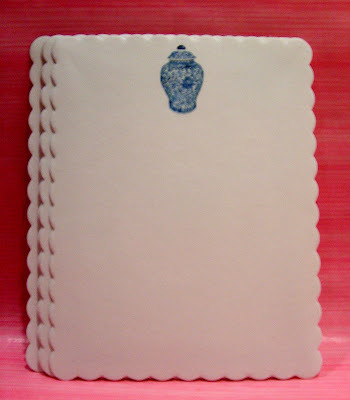 I have now added 2 new sets of notecards to my Etsy store. 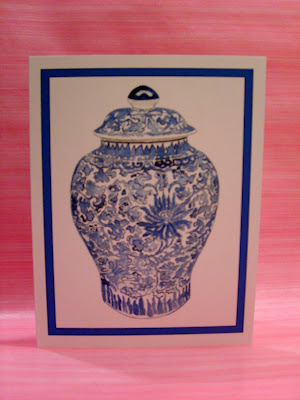 Both feature my Blue and White Ginger Jar painting on 8 cards/envelopes. 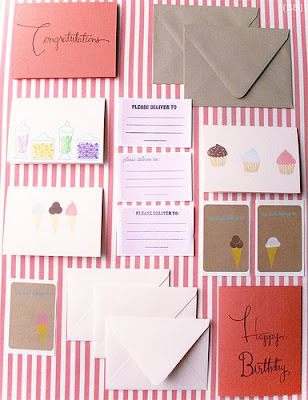 There are the bordered, folded note cards (above) and the flat scalloped note cards below. Both make great hostess gifts or, even thinking ahead, stocking stuffers! You can find them here. I HAVE SOME BANANAS TODAY! 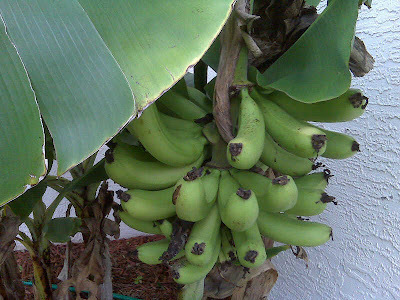 One of the perks of living in a tropical climate - bananas right outside my bedroom window. I couldn't believe it! I knew this was a banana tree, but guess I underestimated what a little Miracle Grow could do. I didn't really expect an actual clump of bananas to grow on it. The best part is that I've got some avocados on the other side of the house that are THE best avocados I have ever tasted. I happen to have an avocado obsession, so that's making me a happy camper. Thanks for your patience while I glory in the local flora. Do you have a garden or any trees that produce for you? 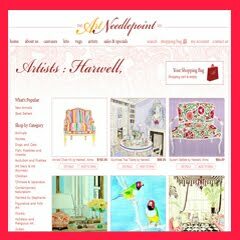 I want to thank artist/blogger Stephanie Levy for featuring me last week on Artists Who Blog. Stephanie is an amazingly talented American artist and very prolific blogger now based in Munich, Germany. Keep up the great work, Stephanie! 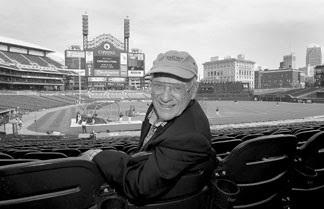 I just wanted to say thank you to all of you who have written with your support for me and my family as it was publicly announced today that my grandpa, Ernie Harwell, has been diagnosed with incurable cancer. The last few weeks have been a tough time, as we learned of his condition and prognosis. 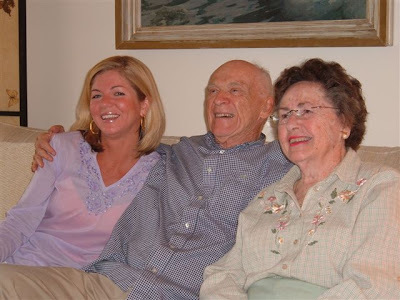 It's so difficult to imagine life without someone who has always been such a strong and loving presence in my life. I am just grateful to have had him all of these years and want to cherish his remaining days. Grandpa remains his ever positive and inspiring self, reassuring us all that he has total peace, knowing that this path will lead him into the place he longs to be - God's presence. Thanks to all of you for your thoughtfulness, prayers and support - it means more than you know. And Grandpa......I love you more than I can say and could not be prouder of you than I am now!! 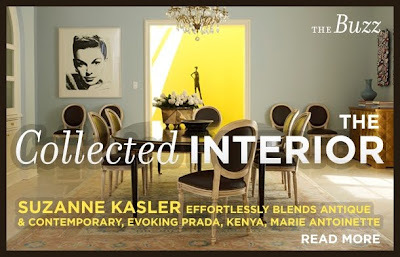 If you haven't checked it out already, you need to read blogging buddy Buzz Kaplan's new interview with celebrated designer Suzanne Kasler. 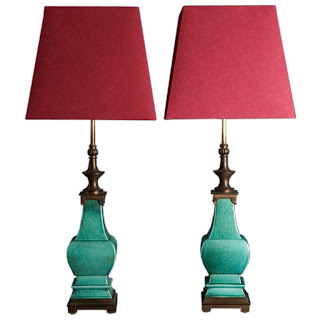 In addition to his weekly column on antiques, Decorati is now also featuring his weekly interviews with top designers. You won't want to miss this series!! I have always wanted to create things, even as a little child. I love the Caribbean, and the Keys. The water is so crystal clear ~~ and the colors of the flowers are so vibrant! Tell us about your family? Where do you live? I have been married for 15 years, and we have 3 beautiful children ages 7, 11, and 12. We live in Richmond, Virginia. Love yourself and your family, don’t take anything for granted, and enjoy the world around you! 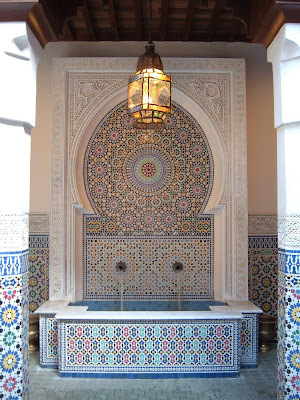 There are so many beautiful things to see. 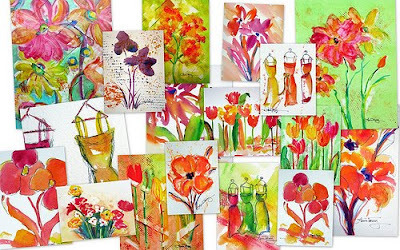 A grouping of Laura's colorful and whimsical paintings. By the ocean. The calming powers of the ocean inspire me! Thanks so much to Laura for taking the time to share a bit about her life and art with us. 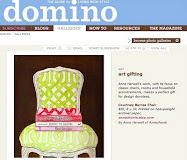 Be sure to check out her blog and Etsy shop!